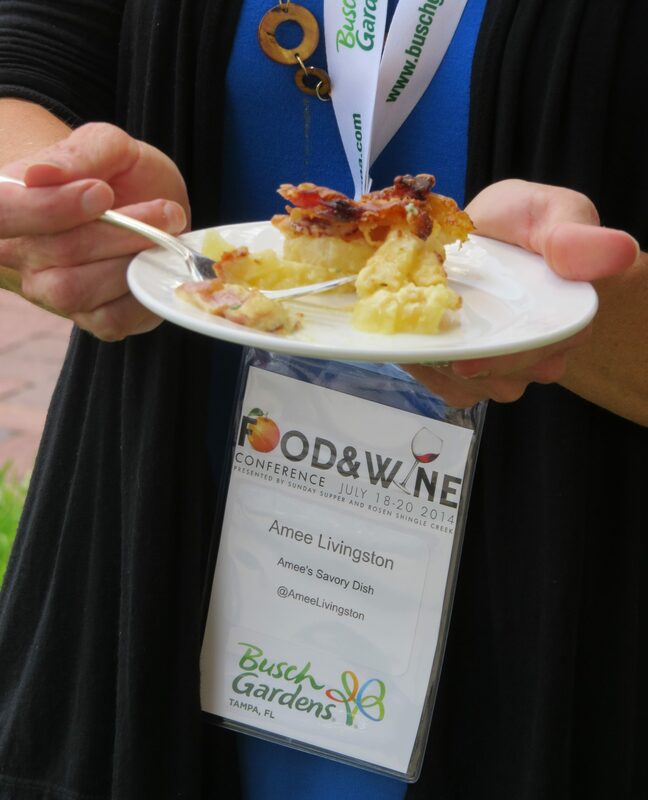 I had the most incredible experience last weekend at the 2014 Food and Wine Conference! This conference is put on by Sunday Supper, a wonderful organization with a passion to bring families back around the family table. 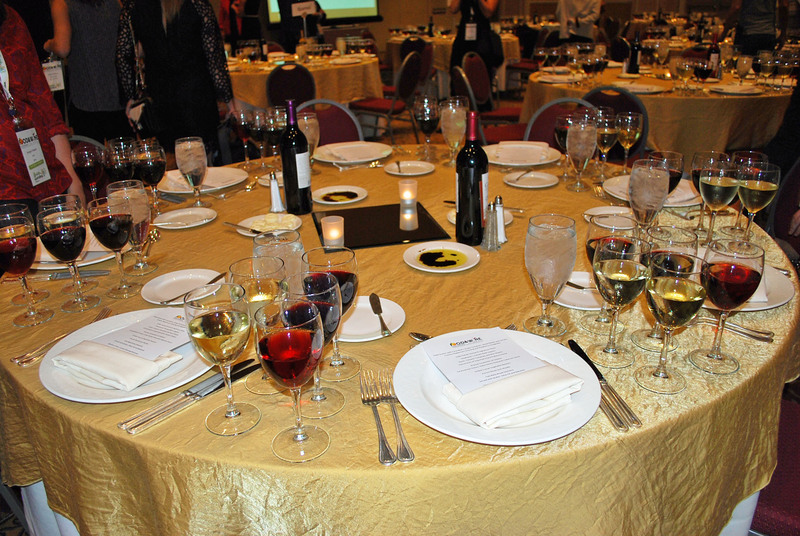 *I was sponsored by The Beef Checkoff to attend the Food and Wine Conference. All opinions are my own. 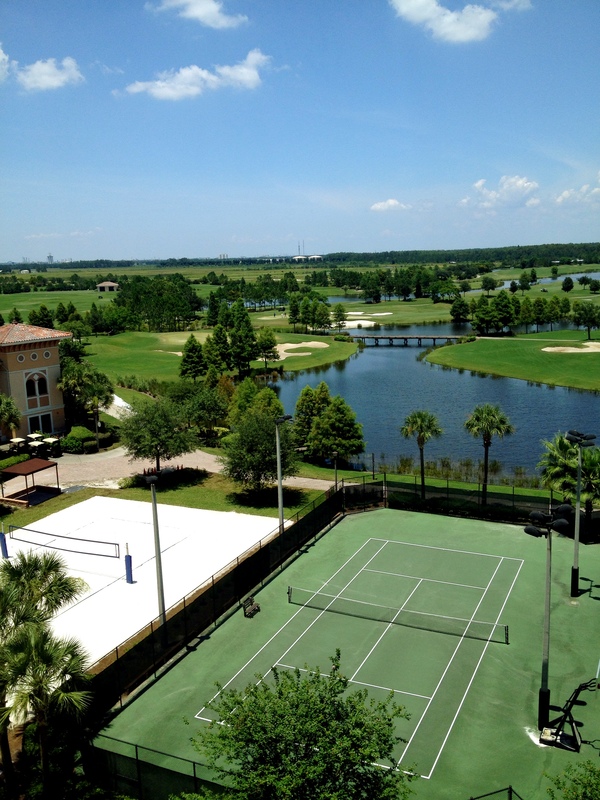 Held in Orlando, Florida at the gorgeous Rosen Shingle Creek Hotel & Spa, we were indulged with delicious food, great company and lots of useful tips and tricks for the budding entrepreneur. It was so nice to have my family come along with me. If I went to the most magical place on earth (according to my 10 year old daughter) without them, I would feel a bit guilty. The hotel is enormous, so there were plenty of activities for the hubs and kids to do while I kept busy with my conference agenda. We even fit in a day at Disney World before returning home. My daughter was so excited to see the new attractions in Fantasyland. I’m just glad that we got a FastPass for the mine train coaster. If you’ve been to the Magic Kingdom lately, you know what I mean! We had a pretty fabulous view from our room. The Food and Wine conference weekend started with a lovely wine and cheese party, where Gallo Family Vineyards debuted their new Riesling. It was light, refreshing and not too sweet, a perfect summer cheese pairing. I had fun catching up with my blogging buds and meeting a lot of new friends. Later, we were pampered with a Taste of Rosen Shingle Creek, a tapas style dinner. Everything was delicious!! 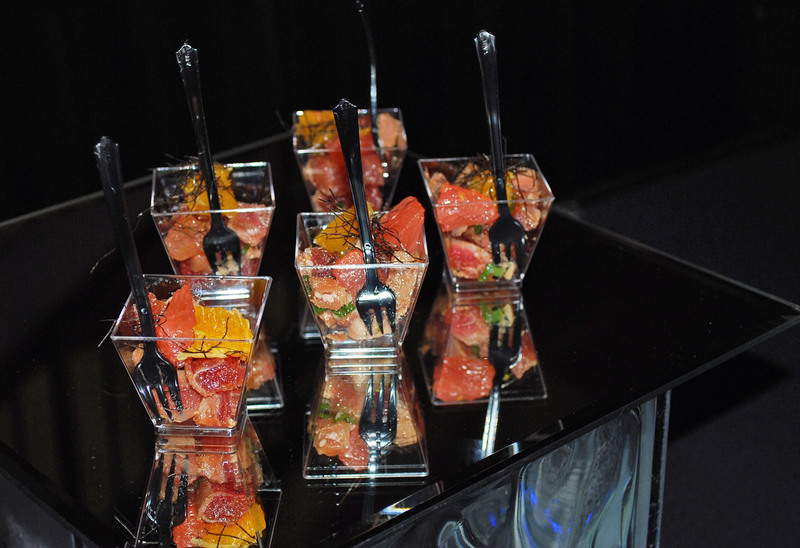 Here are a few food highlights from the evening…. Tuna poke is always a favorite. I think I ate about 4 of these. 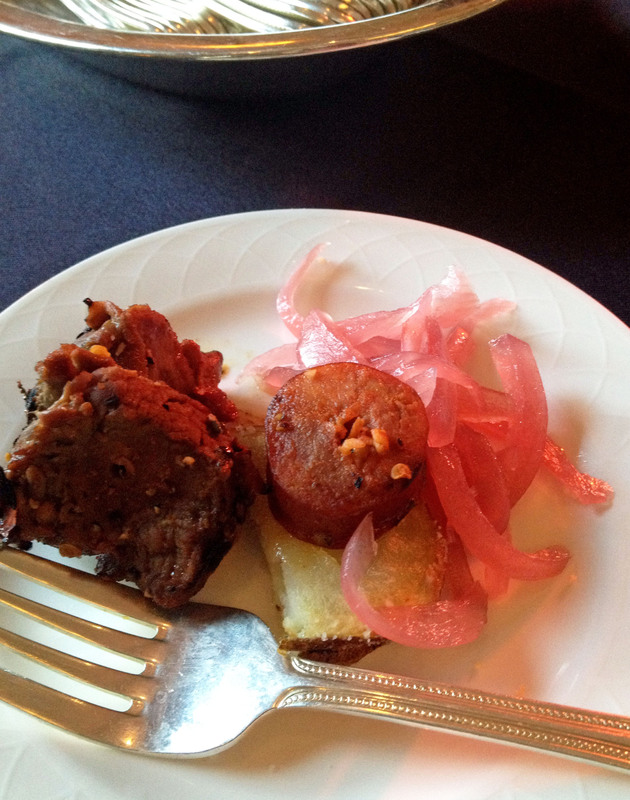 The beef tenderloin with sausage & pickled onions was definitely worthy of seconds. 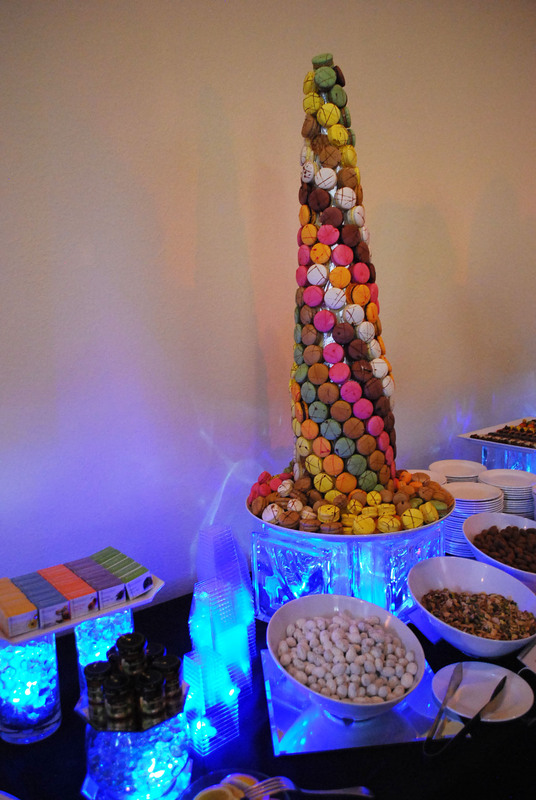 And a huge tower of French macarons!! Are you kidding me?!!! I thought I’d died and gone to dessert heaven. The vanilla bean macarons were to die for! 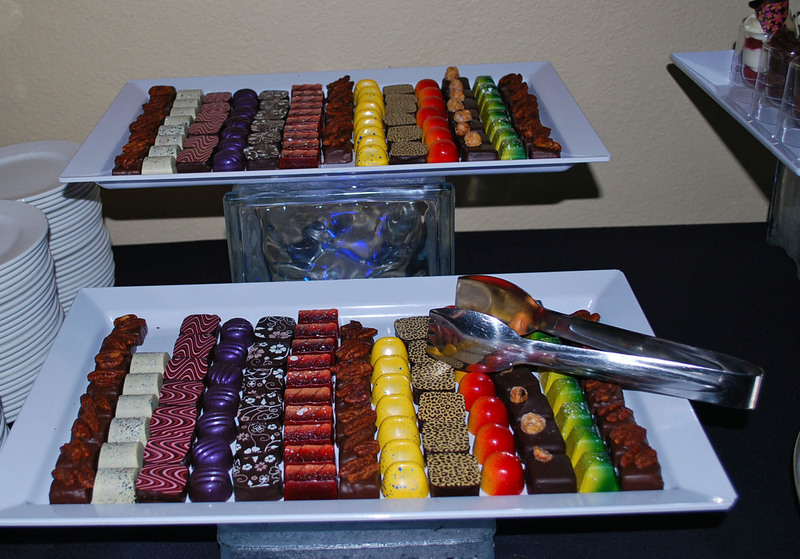 I don’t eat a lot of decadent food, so I thought someone was going to have to roll me back to my room. But when in Rome….. 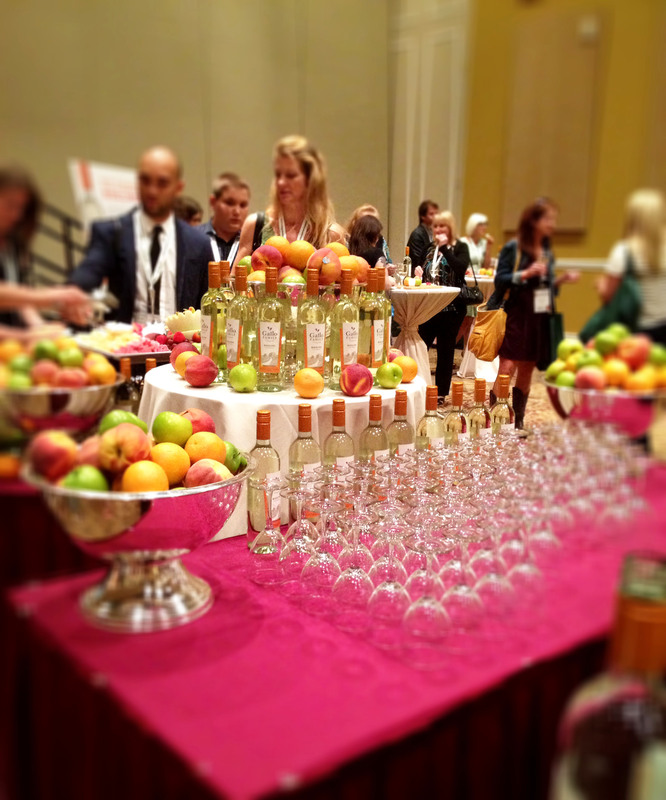 The next day at the Food and Wine conference was full of informative sessions. The keynote speakers, Retro Rad Emily Ellyn and the adorable Whitney Miller, shared their entertaining stories about their television food careers. Whitney Miller is the winner of the first season of Fox’s Masterchef and Emily Ellyn has been on Food Network’s “Food Network Star” and “Cupcake Wars” along with a few other television appearances. They had me laughing from the start! I also loved Monica Bhide’s story about her path to success as a food writer. I was pretty ecstatic at lunch, because my recipe submission for the Idaho Potato Recipe Contest WON and they served it to all the conference guests! It felt pretty amazing to win, seeing how I was surrounded by so many incredibly talented foodies. I felt so honored! They even pulled me outside for a quick “Potato Cam” interview about my dish. In September, I’ll be traveling to Idaho for their harvest tour. I’ll be learning all about potato farming and sharing some fun facts with you. 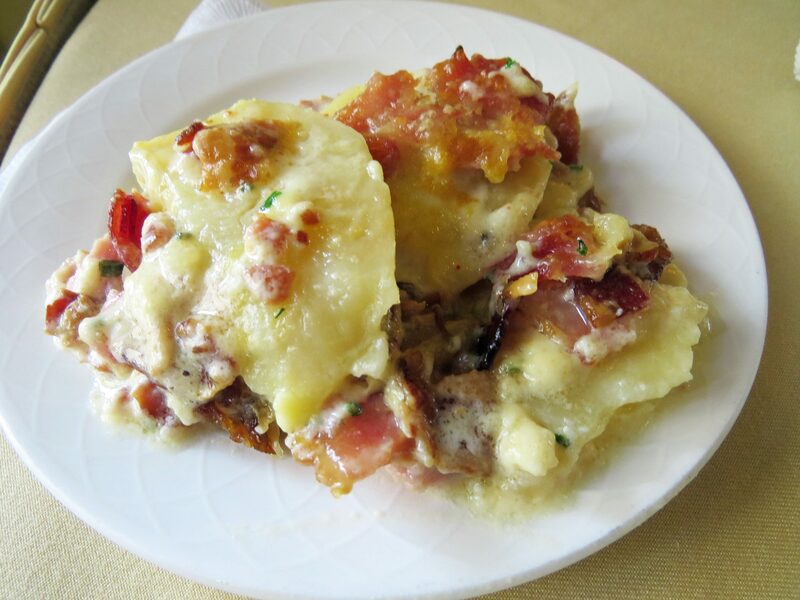 and the winning recipe is…….. Loaded Baked Potato Casserole! You can find a complete list of contest winners here. Trust me, you don’t want to miss these recipes!! That evening we sat down to a wonderful family-style dinner and learned about wine pairings from Gallo Family Vineyards sommelier. 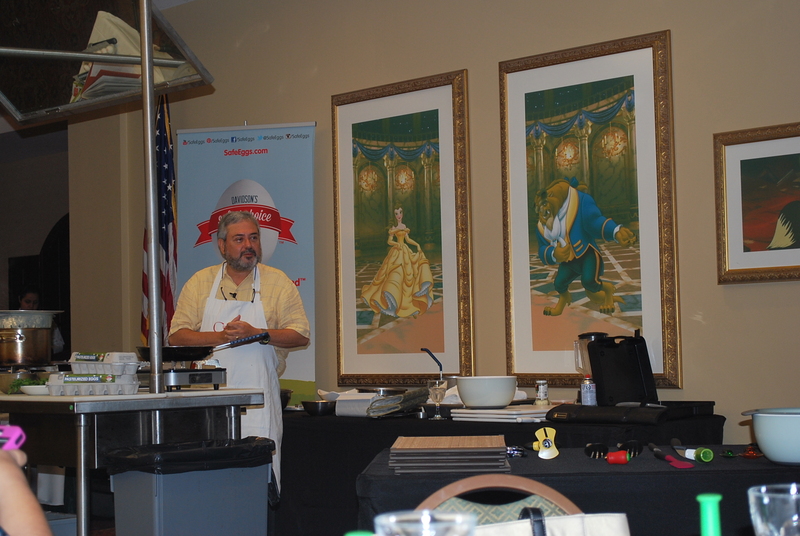 The final day of the Food and Wine conference was full of hands-on workshops and food demonstrations with a few of the sponsors. In our first demo, Giuliano Hazan prepared a wonderful Spaghetti Alla Carbonara with Zucchini using Davidson’s Safest Choice Eggs. 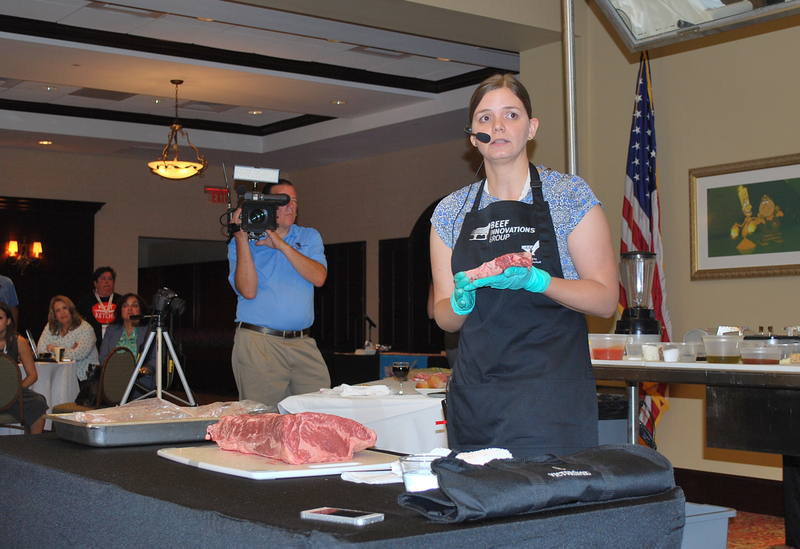 Bridget Wasser with The Beef Checkoff also gave a great demonstration on how to cut a whole strip loin for more value and versatility. It is a great cost savings to learn how to butcher large cuts of meat. It enables you to portion out smaller serving sizes and utilize all of the meat for different cooking methods. Bridget also explained the difference between wet and dry aging of beef. After the carving, chef Dave Zino prepared a couple of tempting beef dishes. 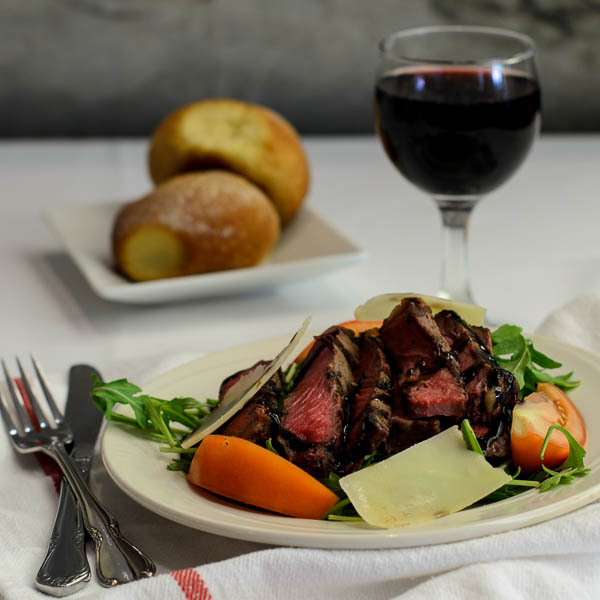 I really wanted to sink my teeth into this gorgeous steak salad! There were so many great sessions at the conference that it’s not possible to cover it all in my post. I learned so much over the weekend and made a lot of great friends and new connections. I’m excited to go back next year and do it all again! It was nice meeting you, Amee. Your potato dish was definitely a winner! Wonderful to meet you, too Cindy! Thank you so much! !